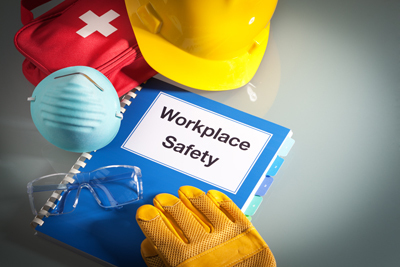 Employers have a duty to comply with workplace safety regulations, and that leads most of them to research standards from the Occupational Safety and Health Administration. However, this isn’t the only workplace safety authority in the United States. In fact, in about half the nation, state programs make the rules that employers must follow to keep their workers free of injury and illness at the job. Yet so much of the focus of workplace safety analysis focuses on the OSHA standards. They are the first resource employers reach for when it’s time for a new facility. An entire branch of law covers occupational safety, and much of it deals in the OSHA standards — all starting with the OSH Act of 1970, a single stroke of law that simultaneously birthed OSHA as a rule-building organization and set into stone perhaps OSHA’s greatest, most broad-reaching law: The General Duty Clause of the OSH Act of 1970. But we’re getting ahead of ourselves. We need to stick to facts. And here’s a fact that a newcomer to the tangled legal skein of workplace safety in the U.S. might find surprising: At the time of this writing, six states operated their own occupational safety plans for state and local government positions. At the same time, 22 states wrote their own OSH laws for both state and local workers and private employers. As a federal program, OSHA has ultimate say over the content of those state plans. Any state can come up with their own OSH regulations, but the federal OSH Administration has to review and approve them. State plans must be “at least as effective as OSHA in protecting workers and in preventing work-related injuries, illnesses, and deaths,” according to the Occupational Safety and Health Administration itself. Program administered by the Alaska Occupational Safety and Health Division (AKOSH), which is part of the Alaska Department of Labor and Workforce Development. Learn more here. Program administered by the Arizona Division of Occupational Safety and Health (ADOSH), which is a division of the Industrial Commission of Arizona (ICA). Learn more here. Program administered by Cal/OSHA, part of the California Department of Industrial Relations (DIR). Learn more here. Program administered by the Hawaii Occupational Safety and Health Division (HIOSH), by the Hawaii Department of Labor and Industrial Relations. Learn more here. Program administered by the Indiana Occupational Safety and Health Administration (IOSHA), under the Indiana Department of Labor. Learn more here. Iowa OSHA is administered by the Iowa Division of Labor Services within the state Department of Workforce Development. Learn more here. Program administered by Kentucky Occupational Safety and Health (Kentucky OSH) within the Kentucky Labor Cabinet’s Department of Workplace Standards. Learn more here. The Maryland Occupational Safety and Health (MOSH) State Plan is administered by the Maryland Division of Labor and Industry. Learn more here. Program administered by the Michigan Occupational Safety and Health Administration (MIOSHA) within the Michigan Department of Licensing and Regulatory Affairs. Learn more here. Program administered by the Minnesota Occupational Safety and Health Administration (MNOSHA) within the Minnesota Department of Labor and Industry. Learn more here. Program administered by the Nevada Occupational Safety and Health Administration (Nevada OSHA) within the Division of Industrial Relations, itself part of the state Department of Business and Industry. Learn more here. Program administered by the New Mexico Occupational Health and Safety Bureau (OSHB) within the New Mexico Environment Department. Learn more here. Program administered by the North Carolina Occupational Safety and Health (NC OSH) Division of the North Carolina Department of Labor. Learn more here. Program administered by Oregon OSHA as part of the state Department of Consumer and Business Services. Learn more here. Program administered by South Carolina OSHA (SC OSHA) as part of the South Carolina Department of Labor, Licensing, and Regulation. Learn more here. Program administered by Tennessee OSHA (TOSHA) within the Tennessee Department of Labor and Workforce Development. Learn more here. Program administered by the Utah Division of Occupational Safety and Health (UOSH) within the Utah Labor Commission. Learn more here. Program administered by the Vermont Occupational Safety and Health Administration (VOSHA) within the Vermont Department of Labor. Learn more here. The Virginia Occupational Safety and Health Program (VOSH) is administered by the Virginia Department of Labor and Industry (DOLI). Learn more here. Program administered by the Division of Occupational Safety and Health (DOSH) within the Washington State Department of Labor and Industries. Program administered by the Wyoming Occupational Safety and Health Administration (Wyoming OSHA) within the Wyoming Department of Workforce Services. Learn more here. In addition to these, U.S. territories may develop their own occupational safety plans or defer to OSHA’s authority. The following territories defer to OSHA: Northern Mariana Islands, Guam, and American Samoa. Puerto Rico has an OSHA-approved plan covering all local government workplaces as well as private employers. The U.S. Virgin Islands have a local plan for local government workers, but defers to OSHA in regulating private places of business. Each of these state-run plans will differ in the particulars, but they all have one thing in common: They have been approved by OSHA. The standard that OSHA follows when evaluating state workplace safety plans is as follows: “State-run safety and health programs must be at least as effective (ALAE) as the federal OSHA program.” Note that the term “at least as effective” occurs often enough in OSHA’s literature on the subject to earn its own acronym. So what does it mean to be at least as effective as OSHA? That’s something federal analysts determine during their evaluations. The process OSHA uses to determine the worthiness of a state program is called FAME — the Federal Annual Monitoring Evaluation. Every year, OSHA must re-authorize state-run occupational safety plans for every state that opts to go that route. OSHA publishes these comprehensive evaluations on their website upon completion; representatives of the state plans are given the opportunity to publish an official response to the evaluation, which OSHA also publishes on its site. Comparing state plan operation to its responsibilities, as laid out in the OSH Act of 1970. As OSHA passes new changes to its standards, it requires state plans to keep up, changing local standards as necessary to continue to meet or exceed the federal agency’s protections. When OSHA adjusts a regulation, the changes reverberate throughout the network of state plans and even those protecting workers in U.S. territories. Where do State Plans and OSHA Regulations Overlap? Many state plans simply mirror the standards OSHA sets forth, with minor changes here or there. They might create specific standards that are more strict than their federal counterparts, or they might create new regulations that target areas not covered by OSHA. They might also charge higher fines or penalties for violations. Several states and territories have plans that are essentially identical to OSHA standards, at least in as much as they can keep up with changes in the federal regulations. In short, the only real way to ensure compliance with the authority in a given area is to work with a state plan. In addition to these states, the capital district of Washington DC and several U.S. territories observe OSHA standards as their only legally enforceable workplace safety plans. Announce the attention to build an occupational safety Developmental Plan. At the start of this process, state governments promise OSHA that they’ll build all the necessary legal and administrative infrastructure to enact the plan within three years. Yet more laws covering enforcement of those standards, and ways to levy fines and penalties, as well as pathways for appeal. With the Developmental Plan in place, the state government must provide documentation of each of the steps and achievements associated with the Developmental Plan. With this complete, OSHA deems the state plan eligible for Certification — though it does not guarantee that it will award this Certification. At some point after it provides Certification eligibility to a state plan, OSHA will cease enforcing its own standards through an Operational Status Agreement between the federal and the state systems. This is the state plan’s chance to prove it can provide protections that are “at least as effective” as OSHA. After a year of running the plan on their own, state representatives may apply for Final Approval. When OSHA gives Final Approval to a state plan, it delegates all of its authority to the state — except for the oversight powers over those plans that OSHA retains indefinitely. Given the close relationship between OSHA and state-run safety plans, it’s usually useful to see what OSHA has to say on a subject (as long as that subject falls under the category of workplace safety). For a more detailed understanding of a specific area’s safety regulations, though, employers should see the web pages for their individual state plans. Follow the links above, or visit OSHA’s state plan here, to learn more about workplace safety regulations in the United States. “Directory of OSHA-Approved State Plans.” OSHA. Occupational Safety and Health Administration, U.S. Department of Labor, n.d. Web. 29 Nov. 2018. “Frequently Asked Questions.” OSHA. Occupational Safety and Health Administration, U.S. Department of Labor, n.d. Web. 29 Nov. 2018. “Quick Facts and Information about State Plans.”OSHA. Occupational Safety and Health Administration, U.S. Department of Labor, n.d. Web. 29 Nov. 2018. “State Plans.” OSHA. Occupational Safety and Health Administration, U.S. Department of Labor, n.d. Web. 29 Nov. 2018.